Bravo for wanting to change your air filter! That’s the first step to improving the air quality in your home, helping your HVAC system run more efficiently and saving money on energy costs. The next step can be trickier — finding the air filter. It may be difficult to locate on some HVAC systems, but you can usually find the air filter in the return air duct. Or in layman’s terms, that big metal grate on your wall, floor, ceiling or utility closet door. Return air ducts can be just about anywhere. Unlike the smaller ducts around your home, the return air duct or blower compartment pulls in the air from your home and sends it to your HVAC unit to be heated or cooled. It’s important to have a good air filter installed to trap allergens and other irritants, so they don’t get circulated around your home. Here are some of the most common locations for an HVAC air filter. Horizontal units are frequently located in attics, large basements or garages. The filter usually fits in a slot on the air return side of the unit. These systems are usually found in smaller basements or crawl spaces where space is limited. The filter typically slides into a slot above or below the HVAC unit. For any other kind of system, look for the air filter behind the return air grill on the wall, ceiling or utility closet door. Don’t forget, some HVAC systems have a return in each room. So there may be an air filter behind each of those return grills. 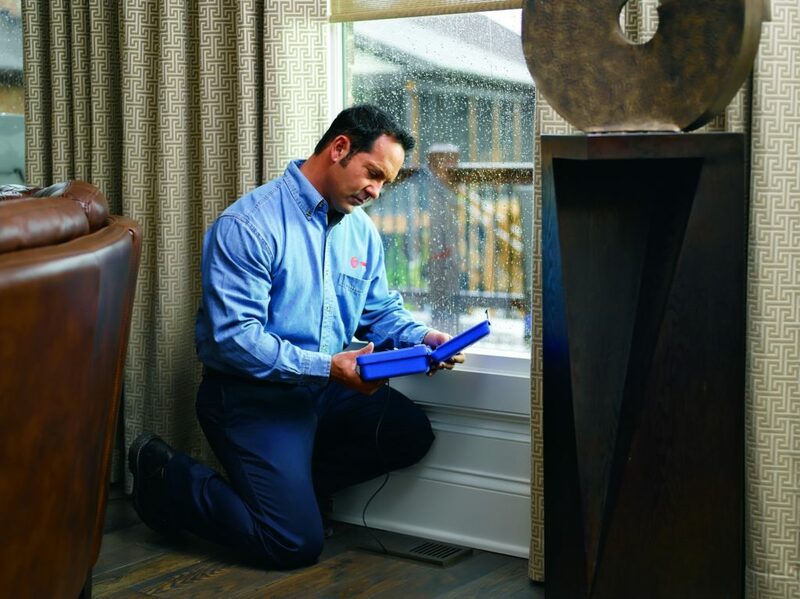 Finding your air return ducts can be a bit like a scavenger hunt. But it’s worth the effort to walk around your entire house, looking high and low. Be sure to check behind doors and other hidden places, so you don’t miss one. Need help finding it? If you’re stumped, don’t hesitate to schedule an appointment with your local Trane dealer. They can help you locate your air filters and show you how to change them, so it’ll be easier next time.